Refer to the exhibit. The PC is connected to the console port of the switch. All the other connections are made through FastEthernet links. 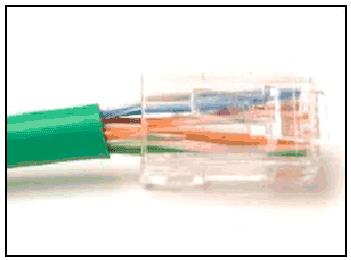 Which types of UTP cables can be used to connect the devices? Refer to the exhibit. Which statement describes the media access control methods that are used by the networks in the exhibit? As data travels on the media in a stream of 1s and 0s how does a receiving node identify the beginning and end of a frame? The term (bandwidth, BANDWIDTH) indicates the capacity of a medium to carry data and it is typically measured in kilobits per second (kb/s) or megabits per second (Mb/s). A physical topology that is a variation or combination of a point-to-point, hub and spoke, or mesh topology is commonly known as a (hybrid, HYBRID) topology.